A beautiful mix of bright and airy shades of teal blue and gold highlight hues! 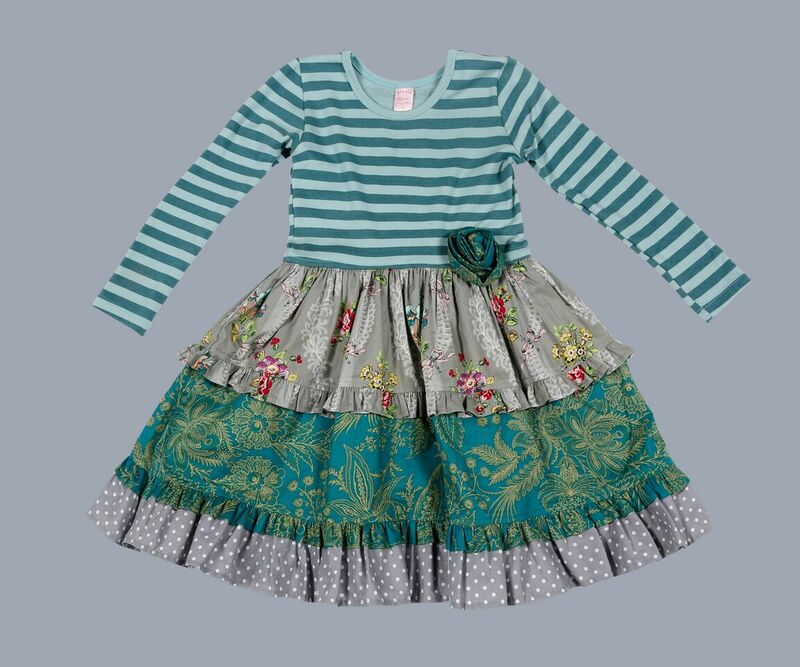 This beautiful Giggle Moon dress is perfect to wear for just about occasion. This Hannah dress is part of the Loving Deer line. 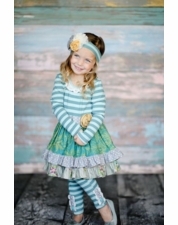 The bodice is a soft knit fabric of the highest quality in a beautiful blue stripe. 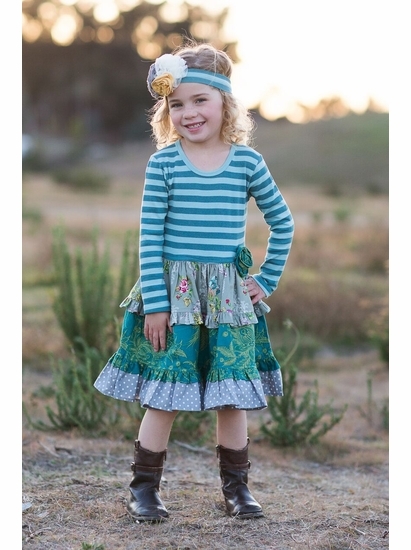 The skirt falls into beautiful tiers of floral prints edged in ruffles! 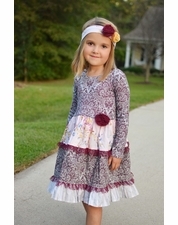 The fun twirling Hannah dress is the perfect addition to her fall wardrobe. 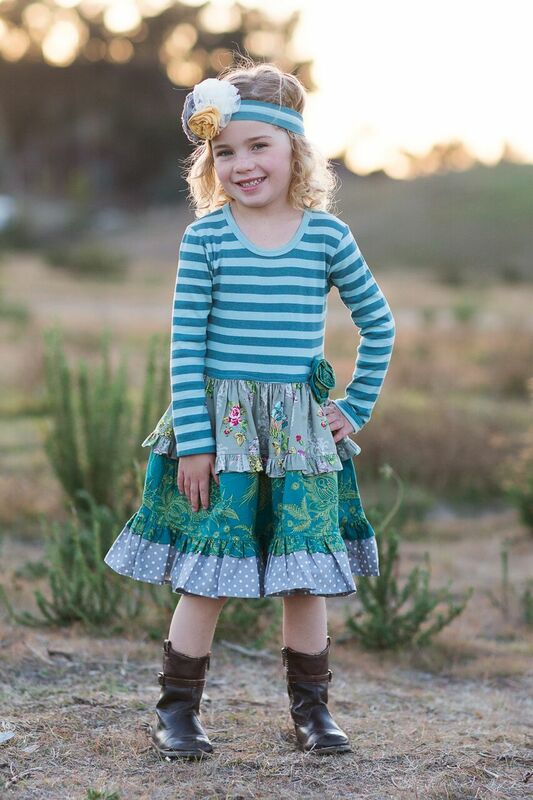 Get your Loving Deer tiered dress ships for free with any order over $75 and shipped within the US! 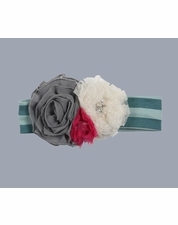 Be sure to check out the matching headband and our other unique boutique lines at adorableschildren.com. Giggle Moon runs small. We suggest ordering one size up to allow room for growth!